"To Have the Only Option That of Killing 80 Million People is the Height of Immorality"
U.S. Nuclear War Plans A "Hazard to Ourselves as Well as Our Enemy"
U.S. nuclear war plans during the Johnson administration included the option of a retaliatory strike against nuclear, conventional military, and urban-industrial targets with the purpose of removing the Soviet Union “from the category of a major industrial power” and destroying it as a “viable” society. This is one disclosure from a Joint Staff review of the Single Integrated Operational Plan (SIOP) obtained via a Mandatory Declassification Review request by the George Washington University-based National Security Archive and posted on our site today. SIOP-62 and its successors involved massive nuclear strikes against Sino-Soviet targets, with thousands of weapons aimed at over a thousand targets, with “Alpha” category nuclear weapons and delivery systems – nuclear-tipped missiles and bombers loaded with nuclear weapons – the top priority. To satisfy policymakers who wanted the president to have a wider range of choices, by late 1962 the SIOP included two preemptive and three retaliatory options. Included in the Football briefing material for the President, the SIOP options were strikes, sometimes in combination, on nuclear weapons and delivery systems (Task Alpha), on non-nuclear military targets (Task Bravo), and on urban-industrial targets (Task Charlie). Priorities for Task Alpha targets: At the top of the list of the most urgent target categories were: heavy and medium bomber bases, unprotected ICBM sites (silos did not shield Soviet ICBMs until early 1964), and IRBM/MRBM [intermediate range/medium range ballistic missile] sites. For the top priority “Task Alpha” targets, the SIOP-64 guidance set an even higher damage expectancy of 95 percent, “a high degree of probability of damage.” Thus, overkill continued to be baked into the SIOP. Yet, because nuclear planners based their assessments of damage on the blast effects of nuclear explosions, they did not take into account the further devastation caused by fire effects, especially in urban areas. The purpose of one of the retaliatory options was to destroy the Soviet Union as a “viable” society because it targeted Soviet military forces (conventional and nuclear) plus strikes on urban-industrial targets – Task Charlie. Vice President Johnson did not attend the meeting on the NESC report and it is unknown whether Secretary of Defense Robert McNamara briefed him on the limits of preemption. 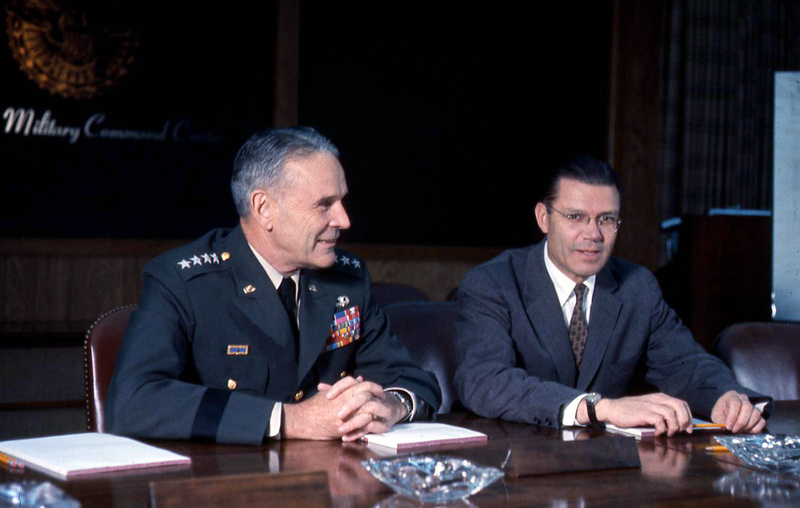 McNamara, however, was confident that should nuclear war come he and the president could have improvised an attack without relying on the SIOP options. The urgency given to counterforce targets and the availability of preemptive options added momentum and instability to the U.S.-Soviet strategic competition. Washington identified more Soviet nuclear installations for the target lists, which then boosted the Pentagon’s requirements for more nuclear warheads. Putting ICBMs on high alert for counterforce missions added to the risk of accidental nuclear war as did the preemptive option. The primacy the Joint Staff gave to the counterforce mission guaranteed that the SIOP would be an instrument of overkill but may have been inconsistent with stable deterrence. U.S. apprehensions notwithstanding, a first strike was never part of Soviet military doctrine. Yet Soviet political and military leaders feared a U.S. first strike, mirror imaging Washington’s fears. While some Soviet military officials sought a preemptive capability, key leaders such as Deputy Premier Alexei Kosygin rejected it altogether. U.S. commanders could respond with an all-out attack against the “Sino-Soviet” bloc, which meant all countries allied with Moscow and Beijing. According to a recently declassified document from the Lyndon B. Johnson Library, published today by the National Security Archive, only Yugoslavia, an estranged Soviet ally, would be spared from the nuclear strike, because of its independent status. In 2012, the Interagency Security Classification Appeals Panel (ISCAP) declassified an important document on the pre-delegation instructions approved by President Lyndon Johnson in early 1964. Under the instructions, if the Soviet Union or China launched a nuclear attack on the United States that knocked the president or his successor out of action, making communication impossible, U.S. commanders-in-chief of unified or specified commands (such as Strategic Air Command or European Command) had the authority to retaliate against the entire Sino-Soviet bloc, even if some Soviet allies or China had not launched an attack. This document from March 1964, prepared a few weeks after President Johnson's decisions on "Furtherance," clarified the meaning of "Sino-Soviet" in the pre-delegation instructions. According to General Andrew J. Goodpaster, director of the Joint Staff at the Pentagon, in the latest version of the SIOP and the pre-delegation instructions, "Sino-Soviet" meant "all of the Sino-Soviet nations and satellites, [but] not Yugoslavia." Nevertheless, because neighboring Hungary, Romania, Bulgaria, and Albania, all countries aligned with either China or the Soviet Union, would be targeted in an all-out strike, Yugoslavia's population could suffer severe damage effects as well, especially radiation. Even though the guidance for SIOP-64 recognized the reality of the Sino-Soviet split by permitting a China "withhold," it took four years, (until 1968), before President Johnson rescinded the blanket "Sino-Soviet" requirement from the "Furtherance" instructions, thus allowing top commanders to discriminate between "Sino-Soviet" countries, e.g., by excluding China from an attack. More needs to be learned about the "Furtherance" instructions and the extent to which top commanders planned to implement them along the lines of the most massive SIOP options. What is certain is that the SIOP, unlike "Furtherance," gave flexibility to decisionmakers by offering "withholds" of certain countries or categories from the target list. This was evident in the review of the SIOP guidance, worked up by the Joint Staff, which JCS Chairman Maxwell Taylor circulated to the Joint Chiefs of Staff in June 1964. 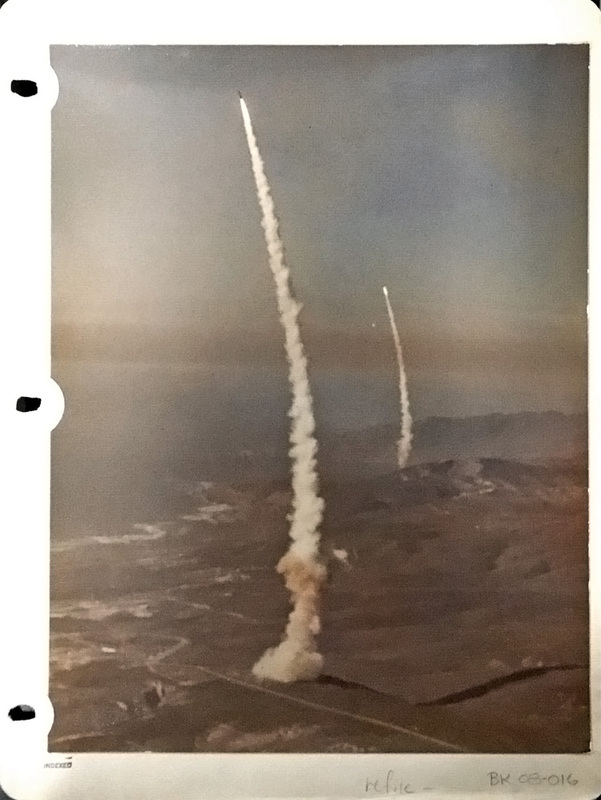 According to the review, the current SIOP guidance provided "a selective capability to withhold ... all strikes against Red China and its satellites and against the Soviet Bloc satellites, either individually or collectively." Thus, in response to a question, the report cited an existing "capability to withhold all attacks in all countries for which such a requirement exists, including Albania, Bulgaria and Rumania." The report did not explain why those three countries were eligible for withholds (but not, for example, Poland). Given Albania's close ties to China, it is possible that the government wanted the ability to withhold Albania as a target if it was also withholding strikes against its ally China. Moreover, U.S. intelligence was aware that Soviet-Romanian relations were troubled. In fact, during Fall 1963, Foreign Minister Corneliu Manescu told Secretary of State Dean Rusk that the Soviets had not consulted Romania during the Cuban Missile Crisis and that the Soviets had not deployed nuclear weapons in Romania. In response, Rusk assured Manescu that U.S. military planning would take that into account. [i] (The "Furtherance" instructions showed the limits to the withholds, at least before 1968.) Why Bulgaria was included is far from evident because it was so closely aligned with the Soviet Union. The guidance review reaffirmed the five attack options that had been designed for SIOP-63. Two were preemptive attack options – I: strikes against nuclear targets, II: strikes against nuclear and non-nuclear military targets); and three were retaliatory attack options – III: nuclear targets, IV: nuclear and non-nuclear military, and V: military and urban industrial. As before, the top priority was “destroying or neutralizing the enemy’s military capabilities,” with precedence given to nuclear threat targets (Alpha category). The “secondary concern” was extending the attack to urban-industrial targets. According to Maxwell Taylor’s cover memorandum, this order of priorities was something that he believed needed further review. Apparently, there was some hope in the Joint Staff that striking nuclear threat targets only could signal an intent to spare urban areas that could be reciprocated. Yet, the attacks on military targets would have been so massive as to undermine any notion of “selectivity.” The guidance review did not discuss numbers of weapons assigned to the strike options and no such information from the mid-1960s is available, but in 1969 the Alpha preemptive strike, the “smallest” SIOP option, targeted about 1,750 nuclear weapons on Soviet nuclear forces and delivery systems. The emphasis on a capability to destroy urban-industrial targets provided context for a related issue in the SIOP review: the Joint Staff raised the possibility of using “population loss as the primary yardstick for effectiveness in destroying the enemy society with only collateral attention to industrial damage.” The implication of this alarming statement was that as long as urban workers, clerks, and managers were killed the level of damage to industrial targets might not be as important. Given the JSCP-65 requirement for “an assured capability to destroy the enemy’s war supporting and urban/industrial resources,” fatalities were likely to increase “in that a larger portion of the urban population may be placed at risk.” Placing “at risk” amounted to using population loss as a “primary yardstick” but whether that criterion became embedded in SIOP planning remains to be learned. Later in the guidance paper, the Joint Staff further discussed what it could take to destroy China as a “viable” society. To achieve that, the Joint Staff suggested cutting back on the goal of destroying 50 cities and 70 percent of industrial floor space as specified in the SIOP-64 guidance. Instead, keeping in mind the mainly agrarian character of Chinese society, the Joint Staff relaxed the criteria for Attack Option V, the retaliatory attack combining military and urban-industrial targets. It would aim at destroying 30 cities with the goal of 30 percent urban fatalities and destroying 50 percent of industrial floor space. The fingerprints of Secretary of Defense Robert McNamara can be found in some of the language in the Joint Staff guidance review. McNamara made the concept of “assured destruction” basic to the way that top Pentagon officials sized U.S. strategic forces. It meant a retaliatory strike that could destroy the Soviet government and command centers along with “a large percentage of their population and economy” (e.g. 30 percent of population, 50 percent of industrial capacity, and 150 cities). The type of precision associated with McNamara’s thinking can be seen in the Joint Staff SIOP guidance review, for example, in the discussion of how China could be destroyed as a “viable” society. The SIOP guidance review did not include any specific discussion of casualty levels. No casualty estimates from 1964 are available but other declassified documents provide a sense of the terrible scale. According to a 1961 estimate, a full force SIOP attack could cause a 71 percent casualty rate in Soviet cities and 53 percent in Chinese cities. An estimate from the following year projected 70 million Soviet fatalities caused by a no-warning U.S. strike on combined military and urban-industrial targets. By contrast the Defense Department estimated that a U.S. strike on military targets only via “ground-burst” would cause 55 million Soviet fatalities. That “Task Alpha” targets (nuclear forces) were “time sensitive” suggested that they would be struck, according to the Joint Staff, by “rapid reaction forces”—implicitly Minuteman missiles. By contrast, “highly survivable” systems, implicitly Polaris submarine-launched ballistic missiles, would be assigned to urban-industrial “Charlie” targets because “an assured capability must be provided under all conditions to destroy” them. To ensure that a survivable capability was available, the guidance for SIOP-64 directed the “establishment of a secure retaliatory force” for this purpose. (1) Active heavy and medium bomber home bases and primary staging bases. (3) Known and fixed IRBM/MRBM sites. (4) Primary missile launching submarine bases (or their access to the sea). (5) Primary heavy and medium bomber dispersal bases and active light bomber home bases. (6) Primary nuclear and CBR [Chemical/Biological/Radiological] weapons storage facilities outside of major urban centers. (7) Known active local control centers that exercise control over nuclear delivery forces which present a threat to the United States or its Allies, not co-located with those forces, but located outside of major urban centers. That the destruction of bomber bases had even greater urgency than “soft” ICBM sites is an interesting problem which may possibly be explained by the large numbers of Soviet bombers that threatened not only the U.S. but also NATO allies and U.S. bases and troops. That “local control centers” for nuclear delivery systems were to be excluded from the priority list if they were located in “major urban centers” was significant because it indicated some degree of effort, consistent with the McNamara “no cities” approach, to protect urban populations from a counter-force strike. With the U.S.’s growing deployments of ICBMs, the Joint Staff proposed one change in priorities. Item seven, the nuclear control centers, should get a higher ranking, below three and above four, because they were a time-sensitive target category. In other words, the control centers needed to be struck earlier to disrupt the Soviet attack, but as in SIOP-63, to minimize civilian losses they would be the ones located outside of urban areas. So that forces implementing Task Charlie achieved the “prescribed” damage expectancy of 90 percent, the Joint Staff recommended that allocations of forces assigned to the urban-industrial task be given “equal priority with the objectives of Task Alpha.” Those force allocations would especially apply to retaliatory strike Option V (combining Alpha, Bravo, and Charlie objectives) if a Soviet surprise attack occurred when U.S. forces were in a “normal alert posture.” Whether force allocations were so restructured is unclear, but as of 1969, 11 percent of strategic forces were committed to the Charlie objective, but whether that was more or less than in 1964 is presently unknown. Later in the 1960s, a new president, Richard M. Nixon, was aghast when he learned about the scale of the SIOP attack options and concluded that a president needed military options that did not result in Armageddon. 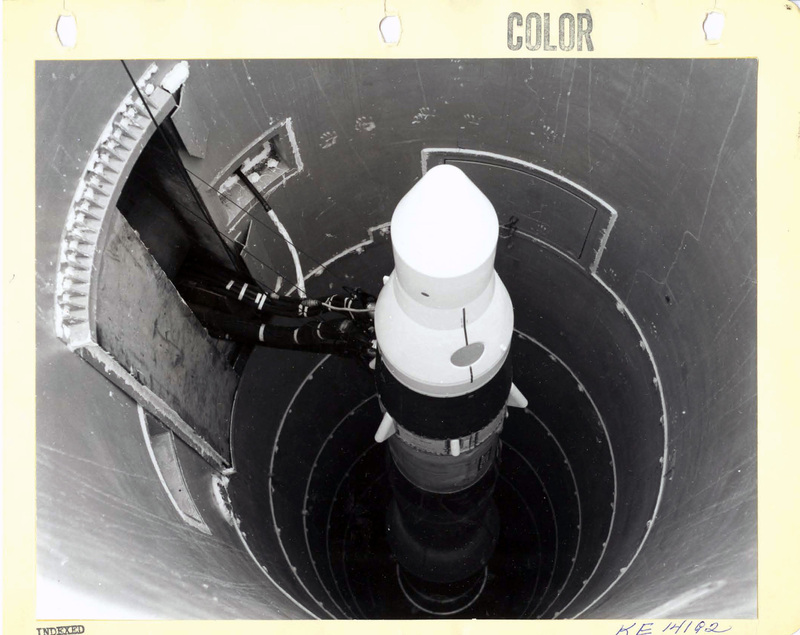 Hoping that more choices could prevent escalation and make nuclear weapons more usable diplomatically, the Nixon administration initiated a search for limited nuclear options, which would become elements of the SIOP during the last years of the Cold War. Note: Thanks to Lynn Eden, Senior Research Scholar Emerita, Stanford University, for incisive comments on a draft of this posting.
 . See "David Alan Rosenberg on: U.S. Planning for a Soviet Nuclear Attack,” Interview Transcript, PBS. “Race for the Superbomb,” and Daniel Ellsberg, The Doomsday Machine: Confessions of a Nuclear War Planner (New York: Bloomsbury, 2017). For the organizational routines, see “David Alan Rosenberg on the Bureaucracy of Death,” Interview Transcript, PBS, “Race for the Superbomb” (no longer online).
. According to Johnson’s chief of staff, Marvin Watson, the regular Pentagon “doomsday briefing” included the basic point that U.S. military policy “is based on the assumption that [the Soviets] will attempt a first strike against us.” Nevertheless, even if a Soviet attack destroyed most of the United States, the U.S. “counterstrike will throw the Soviet Union back into the Stone Age.” Because the Soviet leadership is “sane, we believe they will never launch an attack against us.” See Marvin Watson, Chief of Staff: Lyndon Johnson and His Presidency (New York: Thomas Dunne Books, 2004), 99.
 . For failure of deterrence, Lynn Eden, “The U.S. Nuclear Arsenal and Zero: Sizing and Planning for Use - Past, Present, and Future,” in Catherine McArdle Kelleher and Judith Reppy, eds., Getting to Zero: The Path to Nuclear Disarmament (Stanford: Stanford University Press, 2011), 69 and 78.
 . For “overkill” and the SIOP’s high damage requirements, see David A. Rosenberg, "The Origins of Overkill: Nuclear Weapons and American Strategy, 1945-1960,” International Security 7 (1983): 3-71. For fire effects, see Lynn Eden, Whole World on Fire: Organizations, Knowledge, and Nuclear Devastation (Ithaca: Cornell University Press, 2004).
. Department of Defense, “Selected Items on ICBM [Intercontinental Ballistic Missile], Polaris and Nike X Programs Are Reported,” 19 May 1964, Digital National Security Archive.
. For first strikes, preventive war and preemptive war, see David A. Rosenberg, "The Origins of Overkill: Nuclear Weapons and American Strategy, 1945-1960,” International Security 7 (1983): 33-35. For the 1963 Net Evaluation Subcommittee briefing, see also William Burr and David Alan Rosenberg, “Nuclear Competition in an Era of Stalemate, 1963-1975,” in Melvyn P. Leffler and Odd Arne Westad, eds., The Cambridge History of the Cold War (New York: Cambridge University Press, 2010), 89-90.
. For the logic of damage limitation, see Eden, “The U.S. Nuclear Arsenal and Zero,” 73.
. Michael Krepon, “Reconsidering Deterrence Stability,” Arms Control Wonk, 14 January 2015. For an argument about the possibility of deterrence without counterforce, see Ivan Oelhrich, “The Next Steps in Arms Control: Eliminate the Counterforce Mission,” The Bulletin of the Atomic Scientists 68 (2012): 79-85.
. William Burr and Svetlana Savranskaya, “Previously Classified Interviews with Former Soviet Officials Reveal U.S. Strategic Intelligence Failure Over Decades,” National Security Archive Electronic Briefing Book No. 285, 11 September 2009.
. Raymond L. Garthoff, A Journey through the Cold War: A Memoir of Containment and Coexistence1(Washington, D.C.: Brookings Institution, 2001), 149-150.
 . Robert J. Watson, History of the Office of the Secretary of Defense, Into the Missile Age, 1954-1960 (Washington, D.C.: Historical Office: Office of the Secretary of Defense, 1997), 473 and 786. For the JSCP’s deep secrecy during the 1960s, see Ellsberg, The Doomsday Machine, 104-105 and 129-131.
. David A. Rosenberg, “Reality and Responsibility: Power and Process in the Making of United States Nuclear Strategy,1945–68,” Journal of Strategic Studies 9 (1986): 48.
 . At some point the guidance changed by targeting major political and military controls even if located in important urban centers. By the late 1960s, Task Alpha included the “Moscow-Beijing Missile Package” requiring strikes against high level Soviet and Chinese political and military control centers. Such strikes could be withheld; during 1968 State Department officials suggested to the Joint Staff the desirability of not attacking Beijing or Moscow so that the U.S. government “can have someone to talk to” during a conflict. See interview with John C. Ausland, 8 October 1991, Nuclear History Program Berlin Crisis Oral History Project Oral History Sessions # 1-8 (College Park, MD: Center for International Security Studies at Maryland School of Public Affairs University of Maryland, circa 1993), 260.
 . For calculations of damage expectancy, see Eden, “The U.S. Nuclear Arsenal and Zero,” 89-90, based on formulae developed by Theodore Postol, “Targeting,” in Ashton B. Carter, John D. Steinbruner, and Charles Zracket, eds., Managing Nuclear Operations (Washington, D.C. : Brookings Institution, 1987), 375-378.
. Donald MacKenzie, Inventing Accuracy: A Historical Sociology of Nuclear Missile Guidance (Cambridge: MIT Press, 1990), 213.
. Shapley, Promise and Power, 200-201.